Long long long birth story attached. I want to get as much detail in as I can for my own sake, but feel free to read if you have a day or two ;-). When Jerry and I decided to try for a family, we had ideas of what we wanted but tried our hardest to remain open to the unknown changes that were bound to head our way. It didn’t take long to get that plus sign and we were off! I have never in my life done research the way I did in preparation for this baby. I can safely say I have read more books by choice in the past 9 months than I have in my entire life. My friends, family and the internet have answered more questions than I knew it was possible to have and I am so thankful. I never even considered natural labor until I was pregnant. I honestly thought no one would ever CHOOSE to give birth without pain medication or at home unless they had to. What I uncovered was a culture that was brand new to me and completely warm and welcoming. I used to fear that my “natural” friends would judge me if I went to a hospital or got pain medication. But what I found over time was that I was judging them and trying to reconcile new feelings with old. I learned so much and have so much respect for all the mamas who took control of their births. They are an inspiration to me. When it came time to make a birth plan, Jerry and I talked long and hard about the options and decided that I wanted to try natural labor and delivery in a hospital setting. I believe that the number one thing for a woman in labor is security and comfort and I just couldn’t say that home was that place for me. We hired a doula and took our birth classes from an independent teacher who specializes in natural childbirth. I read everything I could find on coping with pain and what types of medications are safer or more productive than others. My confidence was sky high and the closer I got to my due date, the more excited I was. After a perfectly healthy pregnancy, I thought this was going so well, my plans were working! We hit a speed bump in the last few weeks however, when my blood pressure spiked and I went through some testing. All turned out normal, but it was being monitored and I started to realize my vulnerability to this thing, this process that I had no option to stop or control. I became a bit anxious at that point but trusted in God above men and that gave me peace and readiness for whatever lay ahead. Suddenly, my plans didn’t really seem to comfort me. I had to trust in God. Who could be more trustworthy? Certainly not my books, or my doctors, or even my instincts. I was due on January 31st and with a family history of post-date births, I was fully expecting to go past my due date and possibly face the decision of being induced (something I called my biggest fear throughout pregnancy). We expected a large baby as Jerry and I were both over 9lbs and I was completely ok with that. I felt mentally prepared and ready to do what I needed to do. What I didn’t expect was to go into labor 6 days early in the middle of the night! Sunday morning at 2am on January 25th, I awoke with a tiny gush of water. I thought, there is no way that was my water breaking. That only happens to like 8-12% of women and I know a lot of women whose labor started this way. What are the odds? I was instantly wide awake and trying to talk to Jerry about it and he started telling me to go to sleep and rest if it was labor than we would need sleep. I knew what he was saying was true, but there was no way. I lay in bed for about 45 minutes and contractions started. They about 13-17 minutes apart and just strong enough to keep me from going to sleep. They started coming a bit closer together and I grabbed the laptop to start timing them. 5 minutes, 8 minutes, 3 minutes, 10 minutes. I thought, well this could be false labor, unless my water really did break…. While I was in my zone, Jerry was running around the house getting last minute things ready and trying to keep busy. He would come in and check on me and brought me water and yogurt and sit with me if I needed him, but I think he could tell I was in a certain place and wanted to let me go there. At one point, I asked him to clean off the guest bed and straighten the blankets so it looked better because the clutter was irritating. I also asked him to open the blinds so I could look out the windows. I was in a God-loving, nature kind of place and it was nice. I am not sure of the timing of the next parts but I will try and remember it my way. It was late morning when we decided that home was becoming increasingly less comfortable. My tricks weren’t really working anymore and we called Christina. She came over and sat with us in the guest room, she was on the bed, I was on the birth ball and Jerry was behind me. We talked for a while and they helped me through some contractions. At some point I was backwards on the toilet trying to help the contractions be more productive. I completely forgot about that until after we were home from the hospital and I asked Jerry why all the stuff in the bathroom was moved around (ie trash can in the tub etc.) I remember that being the most painful part of the “labor at home” part of my story. I think it was around noon that we made it to the hospital. I remember thinking, good for me! I labored for 10 hours at home. That’s not to shabby haha. When I was admitted they did all the typical stuff and went over our birth plan with us. No snags whatsoever with that and I felt really good about things. I was 3cm, 100% effaced and 0 station. I thought well alright, here we go! My blood pressure was elevated again so that was a little frustrating. The baby looked great though and his levels never showed signs of distress the whole time. That really helped me feel better about my BP. We talked with Christina about pain medication. My contractions were getting to be what she called, piggy-back contractions where essentially I would have 2 in a row and then a small break. It felt like they came like this for the rest of the day. I remember wondering why they were so long! Each contraction was almost 2 minutes long from start to finish and then I had a 2 or 3 minute break before the next. At this point I wasn’t on any medication so I was getting nervous. They checked me and I was at 5cm so I decided to get Nubain. I felt like there was time for it to wear off for more effective pushing and I was starting to panic with my contractions. Christina asked if I wanted to get in the tub and there was no way. I had ZERO interest in that tub haha. So much for plans! My contractions were bringing on nausea as well which I know is a sign of transition but I also knew I wasn’t anywhere near that. The nubain helped a lot. I felt more relaxed and dilated to 7cm by 4pm. I was SO encouraged. I thought ok it’s 4pm. This baby is coming today! I honestly don’t remember the next few hours. I know it was so hard. I swore alot and nothing was helping me. Jerry was by my side the ENTIRE time with a cool cloth wiping my forehead and neck. I really wanted the epidural. It was so funny because even the nurses were putting me off saying, you are so close, you can do this you ARE doing this. And really worked hard to protect my birth plan. Everyone at the hospital was amazing by the way. I was in excellent hands from start to finish. At some point I had gone so long with no progress that I finally got the epidural. It takes an hour to get it and I remember that being one LONG hour. I don’t remember if I reached 8cm before or after the epi, but I do know that at 10pm I was still only at 8cm. It took me 6 hours to dilate that one lousy centimeter and then I stalled out completely. We tried different positions and I really wanted to do hands and knees but it was unbearable (this must have been before the epi though I know we tried it during pushing too). Once the epidural was in and taking effect, we realized that the right side of my abdomen was still feeling so they had to tamper with that for a while to help it take. I think it was around 10 when we decided to add a little pitocin to the mix and try to get me the rest of the way. At about midnight they said I was complete and could start pushing. Holy crap pushing was so hard!!! By then the epidural was wearing off which is optimal for progress but not for pain. We tried side-lying, hands and knees, elbows and knees, the birth bar and knee to chest positions and nothing was happening. I pushed for 3 hours and I knew it wasn’t happening. I remember being at my wits end and saying it’s the same contraction over and over, the same push and nothing is happening. He isn’t moving. They told me he was stuck behind my pelvic bone and even brought in the toughest looking nurse I have ever seen. A woman named Bert. I knew she was “the big guns”. She was amazing. Very powerful and assertive and I tried everything she suggested. She wanted me to succeed as much as I did and I knew it so I tried and tried. I kept saying, what’s next this isn’t working and everyone was saying NO you’re doing it! Keep going! They were being so encouraging it made me want to try “just one more time”. Finally, after a couple hours of pushing they called my Dr. and we decided to try the vacuum. That was door number one. I knew what door number 2 was. I couldn’t wait for her to get there. I knew that together we could get him to move. She was also amazing and very helpful. She looked me in the eyes and calmly told me how things would go down. I remember feeling trust. I was glad she was the Dr. on call. She told me she would try the vacuum 2 or 3 times and if it didn’t work we would go to door number 2. I agreed. I gave everything I had with the next several contractions. I pushed 3-4 times per contraction while she pulled with the vacuum. She tried more than 3 times and we could not get him through my pelvis. I wanted to give up before she did. She said ok let’s do this one more time. Everyone wanted it so badly but he was just too big. I never thought it could be possible but I new a c-section was going to be the answer for me this time. Yet, in my disappointment, Jerry and I were at total peace. We had no regret. We knew we did everything possible and we were in this together. His support was indescribable and I could have never gotten this far without him. They prepped me for surgery while Jerry was getting changed. Christina and my mom went out to the waiting room with my dad and sisters to await the finish line. We were almost there! Waiting for the c-section was bad. I had to get another round of medication and so I had to breathe through the pushing contractions that had just controlled my body for 3 hours. Once I was in the OR I was overcome with calm again. They put in the epidural and again I could still feel in places (this happens at the dentist too, I am a terrible numb-er). They used a local on my skin and that did the trick. I was SOCLOSE to general anesthesia and I did NOT want that. Jerry came in and we just looked at each other. We knew we would meet our baby boy soon! He looked into my eyes the whole time. It took a little longer than the normal c-section because the baby was so stuck that they had to use the vacuum again to get him back up and out. When they finally pried him from my uterus and he cried, we cried and then heard all this laughing and talking about a big baby. This boy was 11 lbs!!!! No wonder! I couldn’t believe it! Jerry went over to the table to take pictures and stay with him. Our baby boy, Oscar Lawrence. 10lbs 15.1 oz (they gave us the 11 😉 and 22 inches long. He had great scores – Apgars of 8 and 9. They cleaned him up and Jerry brought him over to me. He was just perfect. We are in love. Jerry wanted to stay with me but I wanted him to be with the baby. The nurses took a picture of the 3 of us. Our first family photo. It didn’t take too long to get me out and they wheeled me to my room past my family and what a wonderful surprise, Jerry hadn’t told them the name! He let me announce it and they all loved it. What a wonderfully thoughtful thing to do for me. I remember being so amazed by him, to think of how special it would be for me to share the name with my family. He came with me to the room where we waited for Oscar. We held him and loved him and kissed him all over. This is it. We are a family. The English meaning of Oscar is “God’s Spear”, Lawrence is my maiden name. We loved his name not for its meaning right away, but because we simply like it. But we wanted to make sure the meaning wasn’t crazy so when I looked it up I was so pleased. We have been talking at church about how Psalm calls our children arrows in the hands of a warrior. We pray that Oscar will be an arrow for the Lord. That he will demonstrate the same strength and courage throughout his life that he did during his birth. That Jesus would be in his heart and guide his life. That he would be a blessing to all who are around him and pursue Christ with all that is in him. We were in awe that morning. And we still are. That verse gave me total peace then and now as I look back I see how it helped me in times of worry throughout the pregnancy. The Psalmist David said he walked through the valley of the shadow of death. That’s what you must do in all the situations and circumstances of this life. You must remember you are just passing through. When you feel as if you’re stuck in a situation that will never change, you must allow God to guide you through it. When the devil says, “You’re trapped,” boldly say to him, “Wrong! I am just passing through!” Shadrach Meshach and Abednego were cast into the fiery furnace, but God brought them safely through the fire (See Daniel 3). God’s Word says He will provide that same protection and deliverance to all who put their faith and trust in Him. So believe it as you walk through the valley of your own situation. And here is the word from Oscar’s birthday, January 26th. God is awesome! We all like “suddenlies” and God promises that whatever remains to be accomplished in us will be done “suddenly” when Jesus returns to the earth. Until then, we can confidently trust He is working in us through His word and Spirit on a regular basis. If you are spending time in God’s word and believing He is doing work in you, then you are changing from one degree of glory to another. You don’t have to be discouraged about your spiritual growth or in your walk with God, because no matter what remains to be done in the transformation of your old man into your new man, it will be finished at the appearing of Jesus in the heavenlies. He is beautiful. I am so proud of the two of you. You did a great job. I hope Tori is encouraged by you story. She will be there in a few months. Good Luck. He is loved. so beautiful… all of it, and you and your beautiful Oscar Lawrence! I always knew you were amazing and this just more proof! Thanks for sharing…truly I admire your story! I can’t wait to meet Oscar! It was such an honor to attend Oscar’s birth 🙂 Andrea, you are amazing! See you soon! I loved reading your birth story. It made me cry…in a good way. It reminded me of God’s faithfulness. He has every detail under His control and nothing is too big or too small for Him. Thanks for sharing and congratulations. He’s beautiful!! 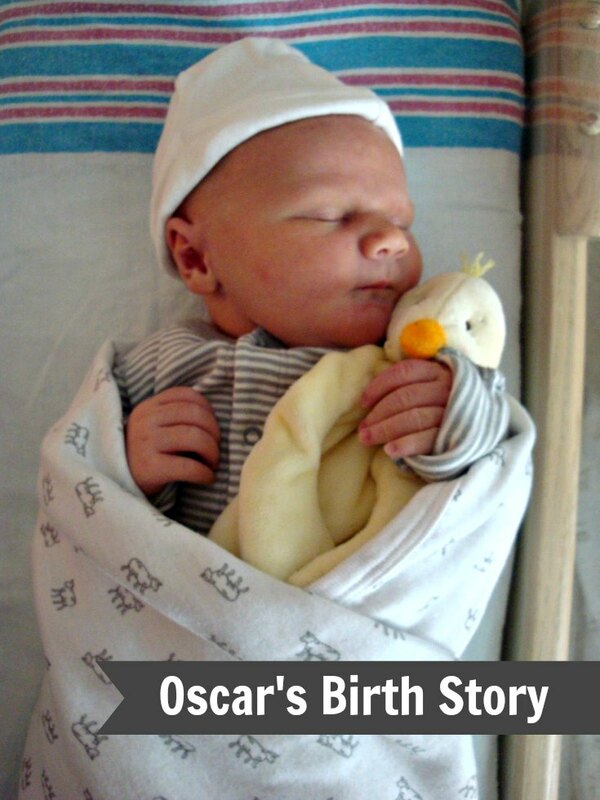 Thank you for sharing your birth story with us…I love the meaning of Oscar’s name. I have seen God using our children as arrows against the enemy in very specific ways. Thank you for taking the time to share. Your writings are very powerful and deep. Enjoy, enjoy, enjoy your new son together. Like I mentioned before I think your story is very encouraging. I think every woman can give birth naturally but I also recognize the need for proper medical intervention. I think you and Jerry did a wonderful job walking that fine line. Oscar is blessed to have such thoughtful and wise parents. andrea! oh my gosh. i was reading this and thurston called me from the grocery store and i was like, “not now, andrea’s in labor!! !” what a terrific story. Thanks for sharing such an inspiring and intimate part our your lives with us. It’s a beautifully written birth story with a happy ending. You are a strong woman who went through an incredible experience, thank you for sharing. We are so happy that you and your family are safe and healthy! Welcome to the world Oscar! Beautiful story. I too struggled with reconciling the beliefs and choices of my natural mamma pals with my own. It is such a special time and I loved how you were able to connect to God through music and worship. You amaze me, Mrs. Updyke. You made me cry, and that’s not easy to do! It’s amazing, isn’t it? Did you ever imagine you could ever love someone SO much? When you are ready for child # 2 you will not be able to imagine loving him as much as you do Oscar…but you will! The capacity for love God has given us is staggering. I am so proud of both you and Jerry! You are already such wonderful, loving, caring, and responsible parents. Oscar is very blessed to have you. Thank you for sharing your heart – it was beautiful. And thank you most of all for a beautiful grandson! I love you all. Grammy L.
What a beautiful story, and what an intense labor! Wow, you were such a trooper, that’s truly amazing. And I love that Jerry was there looking you in the eyes the whole time, Oscar is one lucky baby to be brought into the world with so much love. Thank you so much for sharing this with all of us. The birth of every child is so beautiful and touching. The first moment you see the baby is the most heart-touching and tear-wrenching moment. I cried when I read it. Whether or not you realize it, you and Jerry DID control the labor and delivery. You were very careful to listen and understand what was happening to your body. Oscar is your treasure, and you and Jerry are a blessing to him. It is such an honor to be a mother — to be responsible to raising and teaching a child. Thanks for sharing this!! I need to pick your brain and find out some of the literature you read to prepare for the natural birth because I will be doing it in a few months myself. And if I am honest am a bit nervous and scared of the unknown. How beautiful. Oscar is so blessed to have you and Jerry for parents, who are willing to go through anything for him, and make the tough decisions. Thank you so much for sharing–you are such an amazing woman and your faith is always an inspiration. Oscar is certainly blessed! Andrea, I really appreciated reading your story. I really love birth stories! My first did not turn out the way I had "planned", thoughout it all, though, I knew of God's faithfulness. The birth of our second son was wonderfully and amazingly healing for us. Your Oscar is beautiful, and it is so encouraging to me to read about how much you love being his mom! That first choice of wanting my birth to be as natural as possible opened up avenues of thinking and doing things that I would never have imagined I would do as a parent (i.e. cloth diapers!?!). Many blessings on your journey, and I am eager to continue to follow it though our new avenues of cyber connection! I had an 11 lb. baby too! You are a warrior! I didn't have to have a c-section, seeing as it was my second baby. You rock, girl!